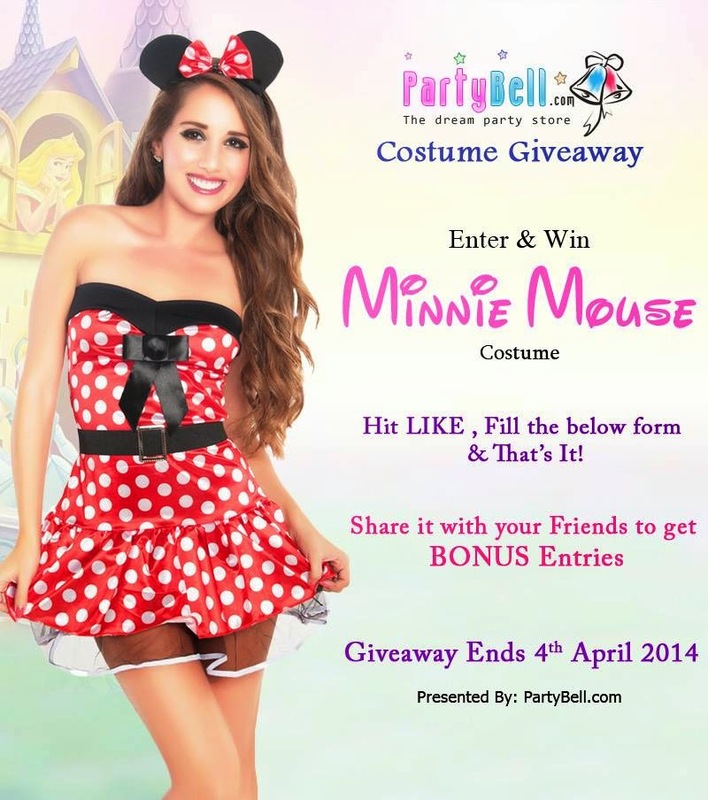 Are you ready to take part in PartyBell Easter Costume Giveaway. Follow few simple steps and grab the costume.Winners will be selected by a random drawing and will get a cute Minnie Mouse Costume worth $60. Just LIKE PartyBell FaceBook FanPage, Fill in your Details and Share the Giveaway with your Friends and get 3 BONUS entries. The more you Share the Closer you get to winning.Hurry up! Giveaway ends on 4th April.